The Eagle Series Tri-Color LED Sign by Sign-Express is the most affordable identification LED sign combination on the market. 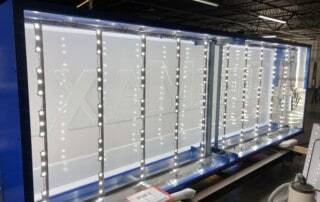 Meet the most affordable LED sign solution for your business or organization. The unique design is a practical approach to an encased LED sign protected inside an aluminum cabinet with Lexan® faces to last a lifetime. 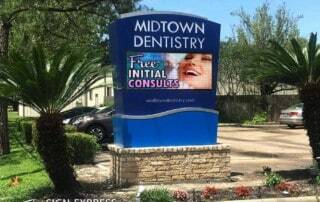 The illuminated sign cabinet is powered by only the best Day Light LED modules with a maintenance free approach. No energy wasting breakable bulbs inside your sign, only the best low wattage long lasting LEDs you can buy. The Eagle Series Tri-Color LED sign is exactly what your organization needs with a price tag that is affordable. Sign-Express Eagle Series Tri-Color LED sign is designed in the USA, Manufactured in the USA and include technical support stationed right here in the USA. 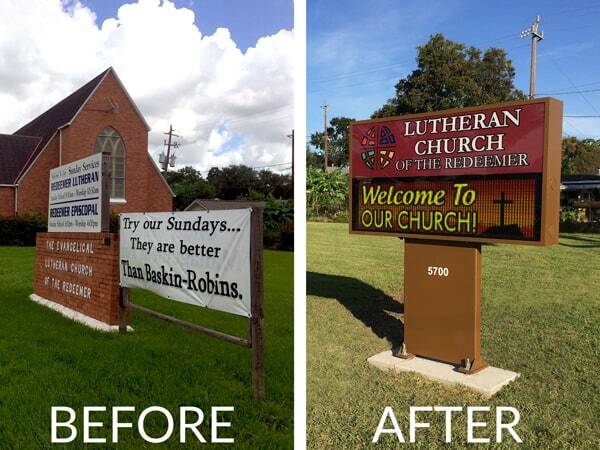 All of our signs are constructed of high grade aluminum and sealed with silicone. This means lighter weight, easy to install and NO rust! We use only the best quality materials to create our identification signage. 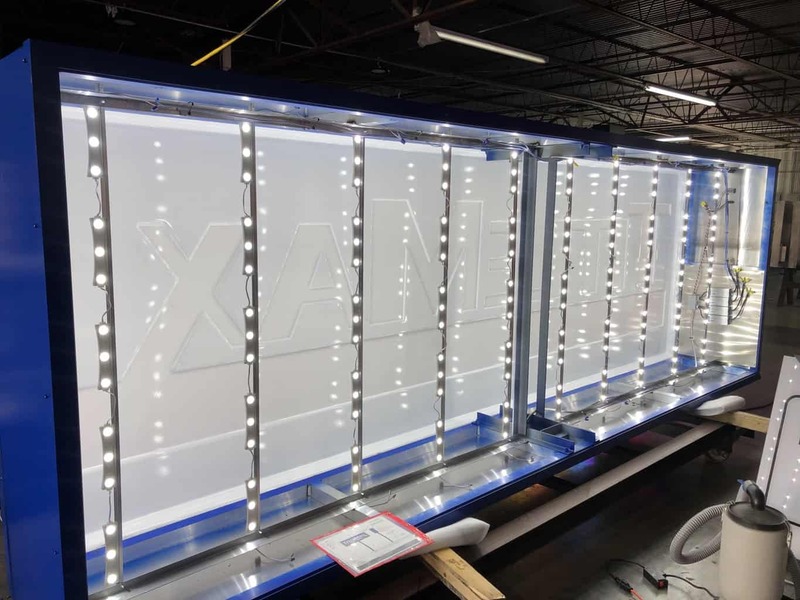 All signs come equipped with Day Light LED modules and Meanwell™ LED drivers to give a long lasting and maintenance free illuminated sign cabinet. The U-Connect™ system was designed to allow for easy installation and standard dimension match plates to attach cabinets and pedestals. 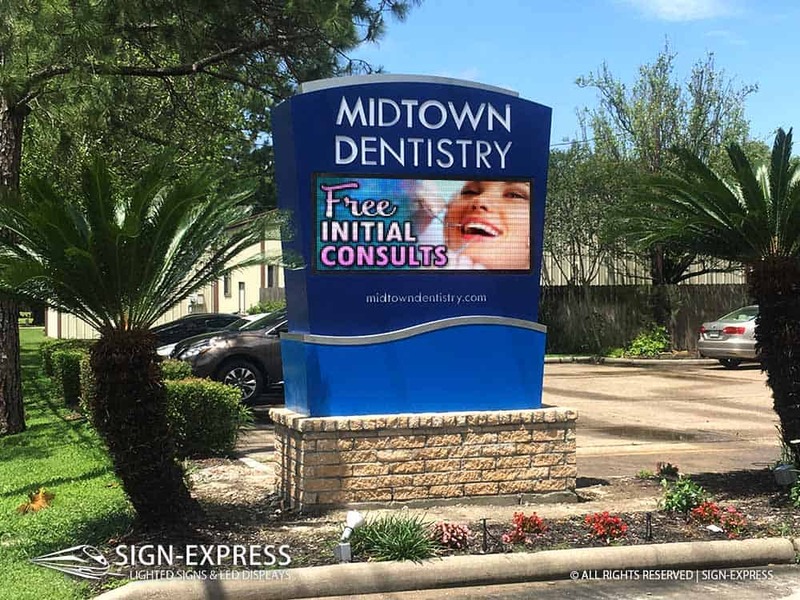 The U-Connect™ system allows you to upgrade to a larger sign in the future without changing your footing or pedestal. It will also make installation a snap with universal match plates and lifting eye bolts. We offer only the best LED signs in the market that are designed to withstand the elements and ensure 100% up time. All of our Eagle Series LED sign products are backed by a (3) three year parts with factory labor warranty.